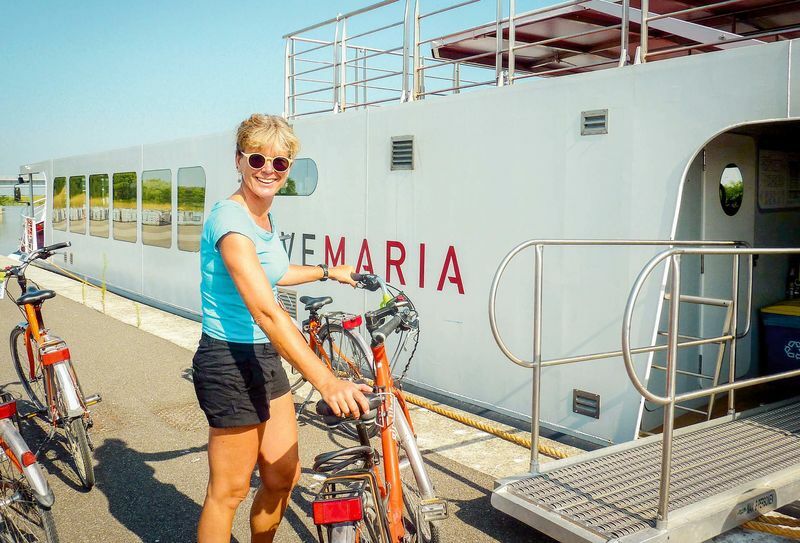 A weeks cruise from the narrow streets and waterways canals of the floating city to the Po delta, weaving through fishing villages, all the way to the art and opera of Mantua. 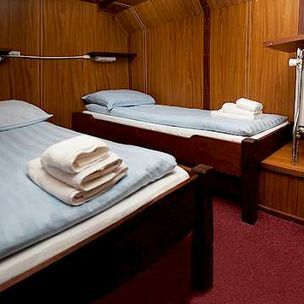 Our boats are equipped with everything you need for a fabulous holiday: comfortable ensuite cabins, sizeable living areas, a restaurant and sundecks. 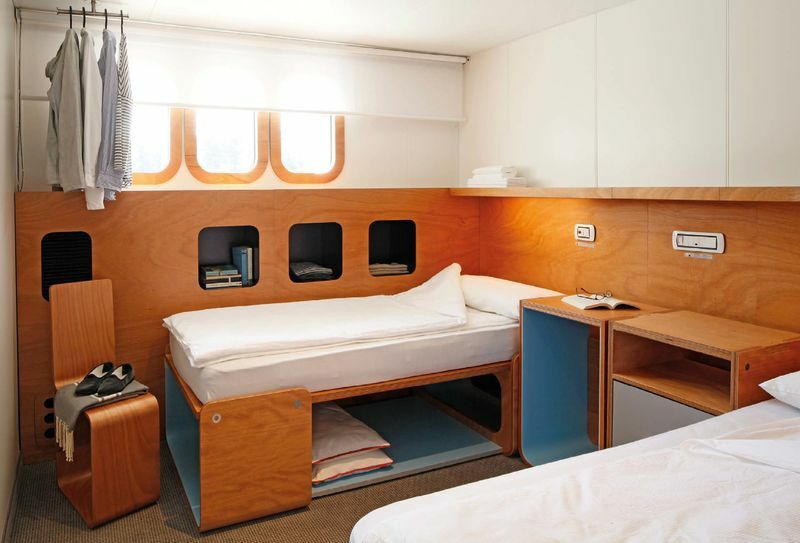 Think of it as a floating hotel, fully crewed with a skipper and catering staff. You’ll enjoy a hearty breakfast each morning, and be sent off with a delicious packed lunch. Later, after a glorious day’s cycling, you can return to the boat for a tasty evening meal served with wine. 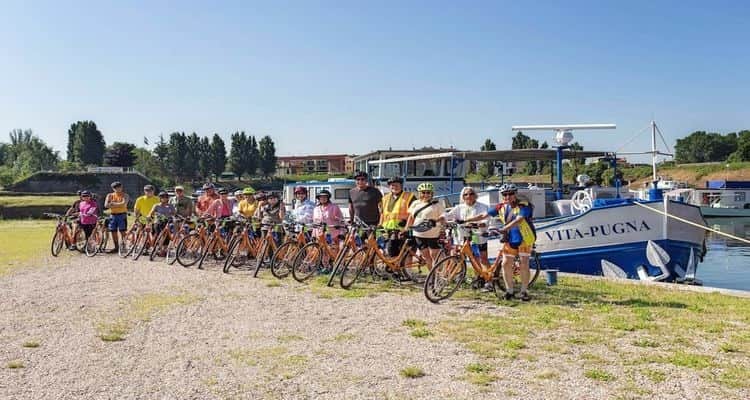 Pedalling through the backstreets of Venice, island hopping from Lido di Venezia to Pellestrina and the magnificent scenery of Delta del Po. 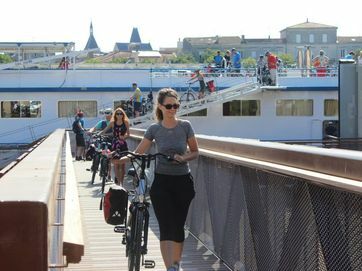 Transfer by minibus or taxi to where you’ll board your boat and be equipped with your bicycle. 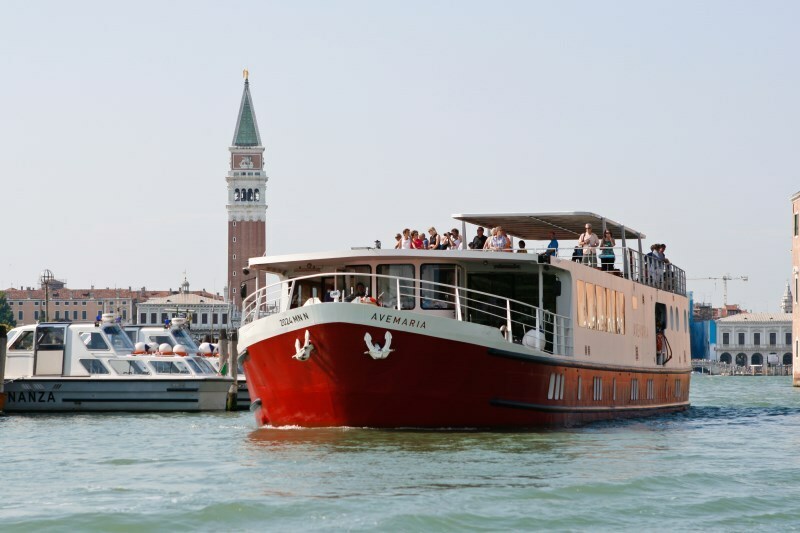 This morning, you’re free to explore the magical city of Venice and its surrounding islands. Your tour leader is on hand to guide you should you wish, or you can simply lose yourself in the narrow streets and markets; perhaps hop on a gondola, or sip espresso as you wander around St Mark’s Square. 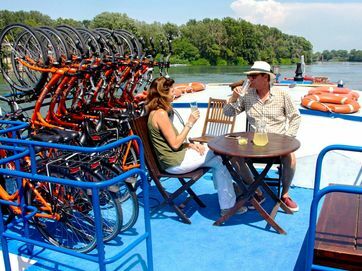 Today you embark on your Bike & Boat adventure, cruising gently out of Venice to the Lido, the first of two islands you’ll visit. Fashionable with the artists and aristocrats of the Belle Époque, the Lido di Venezia is home to the International Venice Film Festival. 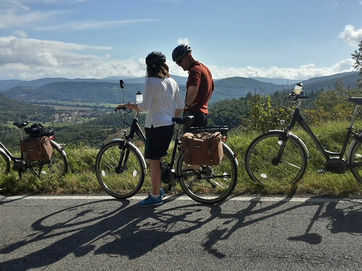 You’ll then island-hop over to Pellestrina, where you cycle towards a nature reserve, weaving through fishing villages. From here you’ll then hop back on board your barge and cruise over to Chioggia. After a morning stroll through the bustling and colourful harbour and fish market, we suggest visiting Chioggia’s millennial clock tower - the oldest in the world - for wonderful views across the town. Back on the bike, you head south into the imposing delta of the Po and the wetlands, home to heron and flamingos. Finally you’ll reach Adria, an ancient Greek port. After a short cruise it’s time to get back on the saddle, following the Po through farmland and little hamlets, until reaching Ferrara. This ancient city once attracted many influential architects and artists and the effects of this are still very much in evidence. At this point you’ll board a bus back to the barge in the sleepy village of Zelo on the Canal Bianco, a waterway running parallel to the Po. Lock. This is where the River Mincio flows into the Po, creating the largest inland basin in Italy. 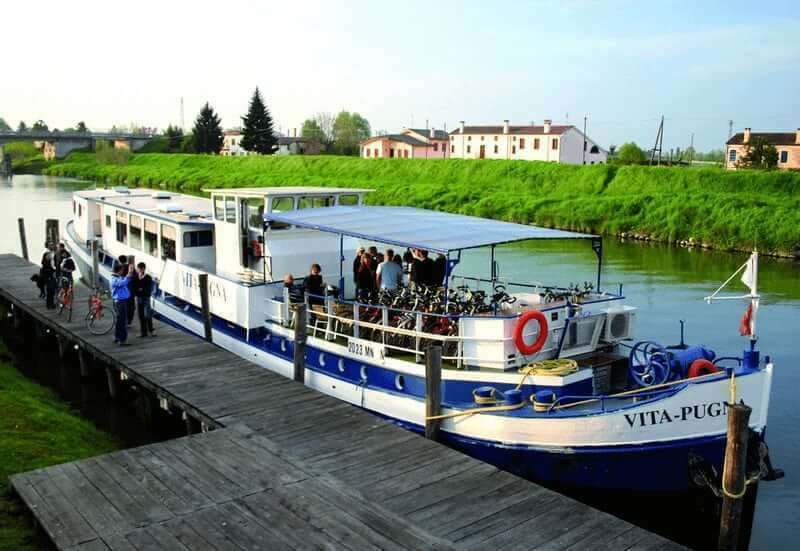 Cycling through magnificent scenery, you’ll reach Mantua in the afternoon. Boasting three beautiful lakes formed by the River Mincio, exquisite countryside and a vibrant town brimming with culture, Mantua is a little-visited gem. As well as the serene natural surroundings, there’s plenty to see and do - you can immerse yourself for the afternoon in the town’s operatic history, renaissance art and archaeological artefacts. We say “arrivederci” before transferring you direct from Mantua to Verona by minibus or taxi. Modern, bright and spacious, the Ave Maria was designed by a well-known team of Italian architects and launched in 2011. 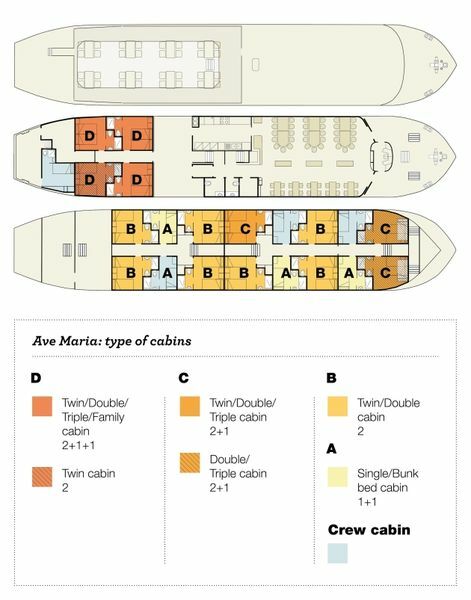 Ave Maria has capacity for 40 guests across en suite cabins; 4 superior twins/doubles (2 can accommodate 4 guests adding 2 bunk beds), 10 standard twins/doubles (3 can accommodate 3 guests adding 1 bunk bed) and 3 bunkbed cabins (also available as single cabins). 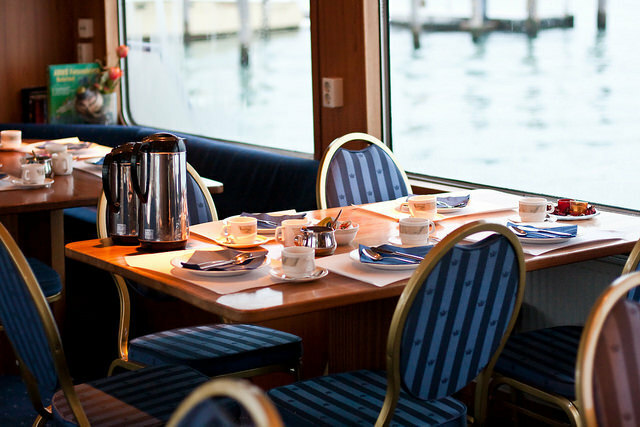 There is a delightful restaurant for up to 33 guests, a spacious lounge area with a hot drinks machine, 2 wonderful sundecks and free Wifi on board. The Vita Pugna is a wonderfully romantic Dutch barge that was sailed over from Amsterdam to the waters of the River Po. 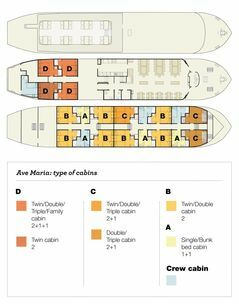 Vita Pugna has capacity for 21 guests across en suite cabins; 10 twins (1 available for up to 3 people). 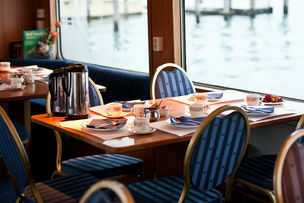 There is a lovely air-conditioned lounge and restaurant, seating up to 23 guests. Sit upon the lovely sundeck whilst taking in the beautiful surroundings. Free Wifi is also available on board.